When the product works, it does what it is intended to do. When setup, it's hands off and easy for the end users to use. Since it uses telephone lines, it's HIPPA compliant. GFI is hard to setup and troubleshoot. Support is by far the worst I have ever seen. You can only open tickets by email. You can't call in. If you are down and it is an emergency, there is nothing you can do. You pay a premium price for support and get a sub par help. If you ever move to a different email server, expect the integration to be a nightmare. Stay away! Use another product that has decent support. If you want to a product that you can reply on, and need it up all of the time, this is not the right product. I have implemented it for a medical company that has to fax to other doctors. It allows you to send a fax using email, making it easy for end users to use it, and keeps it compliant. "Easy to use, good service, a bit pricey"
Reliable, all of my faxes has always gone through successfully without a problem. After a while, I noticed that the technology has changed over the years. My current internet phone service started offering the eFax services within my monthly service. So that’s the only why I stopped using GFI. We completely stopped using our fax machine which I love. Before using eFax services, I used to scan all the faxes so I have an electronic copy of all the purchase orders and bills in our system. By using this, I just download directly from my email to my computer or just directly forward the email. It’s a big time saver. 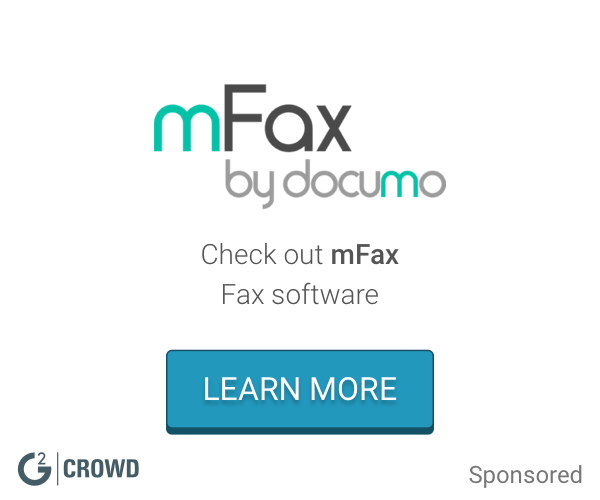 I also do not need to use my fax machine anymore. * We monitor all GFI FaxMaker reviews to prevent fraudulent reviews and keep review quality high. We do not post reviews by company employees or direct competitors. Validated reviews require the user to submit a screenshot of the product containing their user ID, in order to verify a user is an actual user of the product. Hi there! Are you looking to implement a solution like GFI FaxMaker?